Baader T-2 Expanding Ring # T2-29 # 2458110. 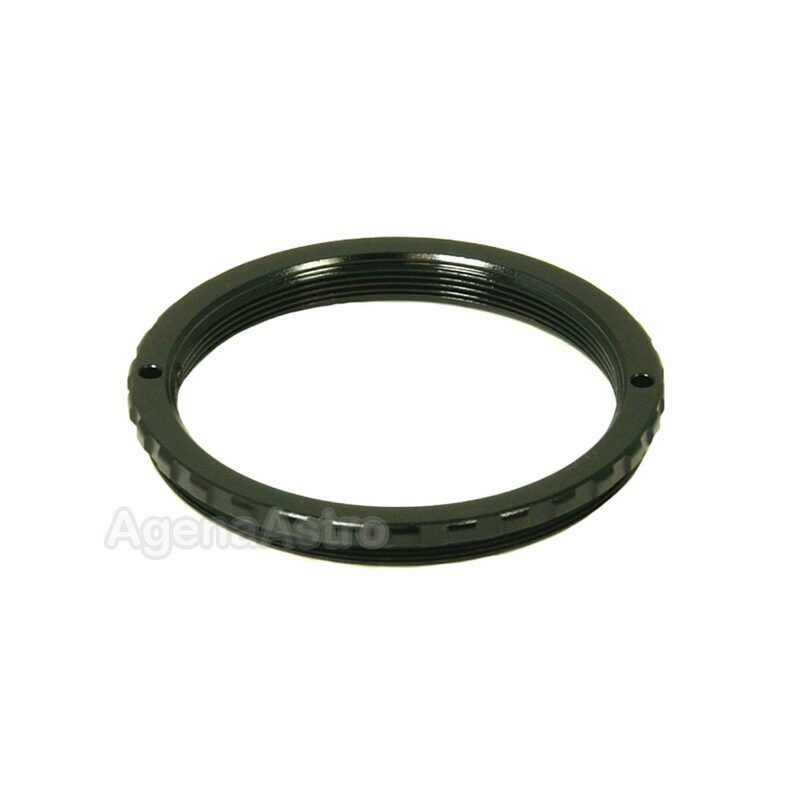 Has a male 2" astronomy filter thread (M48x0.75) on one side. Has a T / T2 female thread (M42x0.75) all the way through on the inside (Total length = Adapter thickness = 5.3mm). Allows you to convert the male T thread on your accessory to an M48 male thread, or conversely, allows you to convert an M48 female thread to a T/ T2 female thread.